The north east frontier of India has always been a remote outpost even during the rule of the British Raj. Whilst the famous Assam tea plantations saw early colonial interest in the north east, much of the hill tribes were left to their own devices, due partly to the ruggedness of their mountain homes on the Myanmar border and in no small part to their fierce reputation as head hunters and warriors. 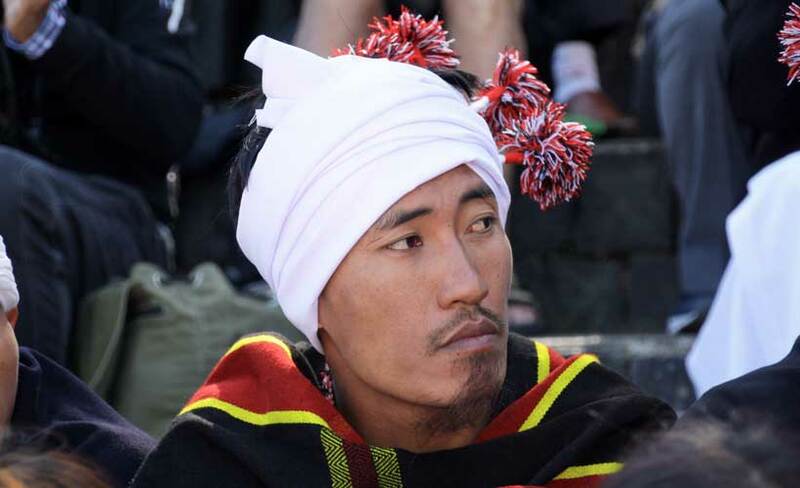 Following many years of missionary penetration and christian conversion from their animist faiths, the north east hill tribe states of Assam, Nagaland, Mizoram, Meghalaya and Arunachal Pradesh initiated an annual celebration of tribal culture and this has now evolved into the Hornbill Festival. 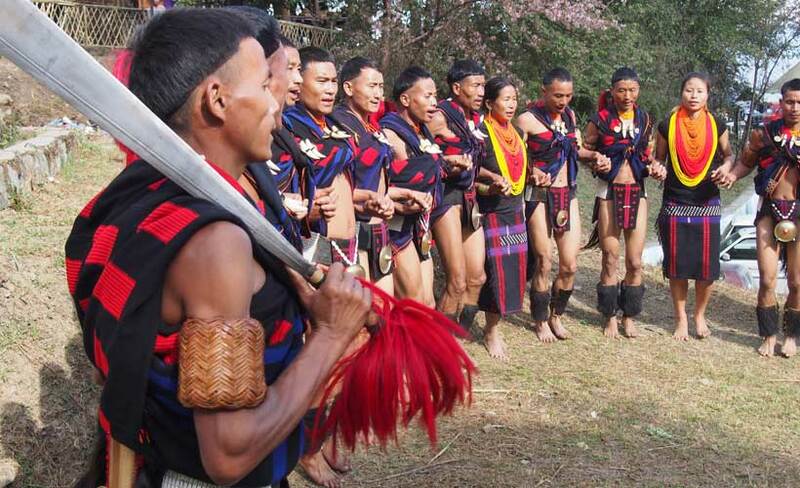 Held in Kohima, the state capital of Nagaland, the week long festival is a riotous coming together of 14 ethnically diverse tribal groups. 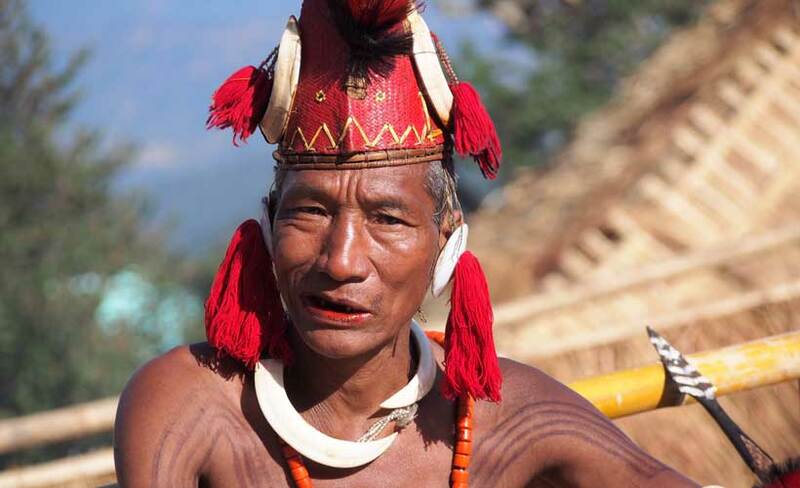 Each tribal group is centred around a traditional morung or long house where the young males were initiated into the tribe. These initiations were brutal affairs and included inter tribal raids culminating in violent and lethal clashes. 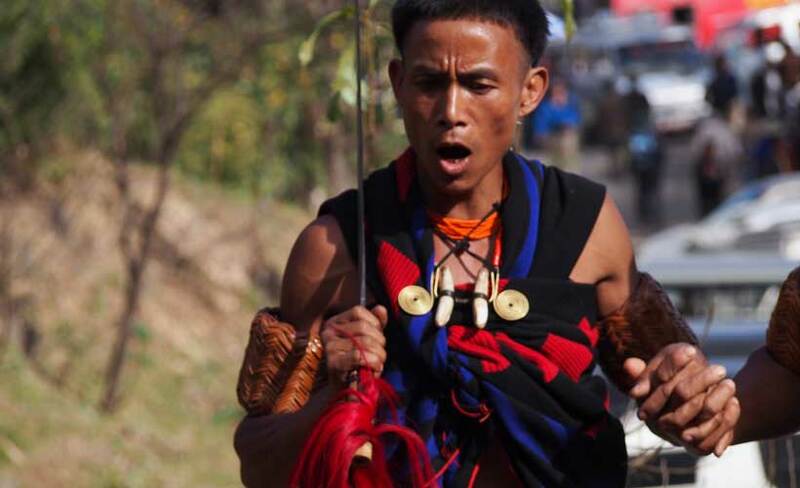 Whilst the inter tribal violence is now a thing of the past, the festival has once again ignited a sense of tribal pride amongst young Naga men and women. The festival showcases the tribal dancing, chanting and singing along with friendly competitions in wrestling and poll climbing, bringing together the highlights of their respective cultures. 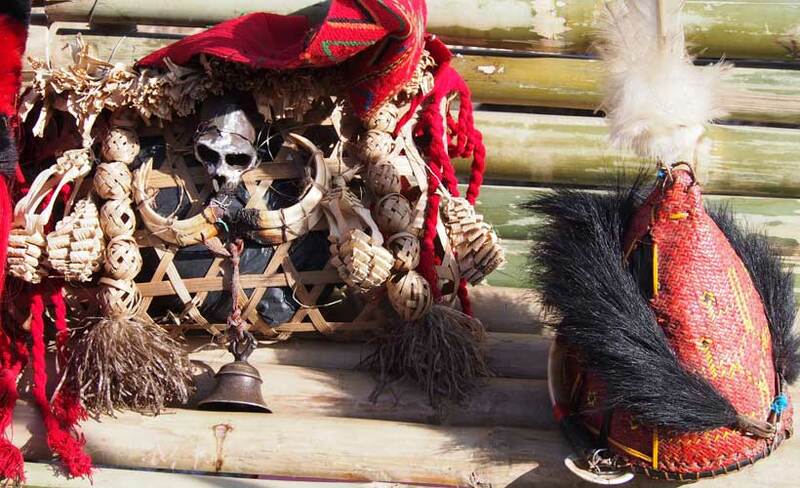 We were privileged to witness several spontaneous outbursts of dancing and chanting from tribal members as they proudly displayed the passion for their ancient spirits. 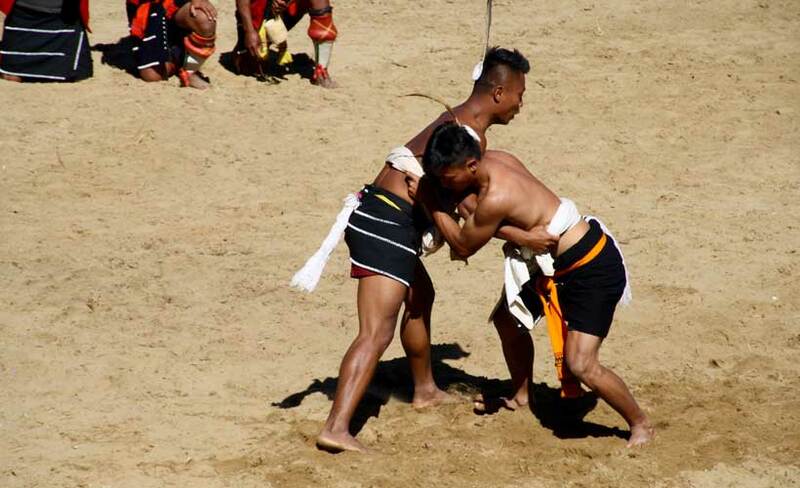 Another surprise was a stone pulling event that brought together 3,000 young Angami men. 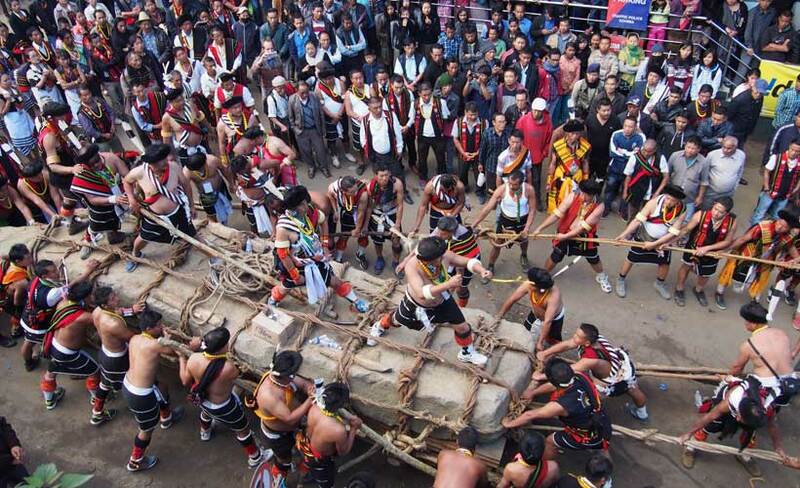 Their task was to haul a massive stone monolith some 3 kms to a sight where the stone was to be erected to mark the celebration of the 50th anniversary of Naga sports competition. The sight of the village chief standing on top of the rock monolith urging his young stalwarts to pull together on massive wines wrapped around the monolith was such a primeval event, that it felt like we were witnessing a throw back to Easter Island or the building of the Egyptian pyramids. Yes India is indeed a very diverse place ! 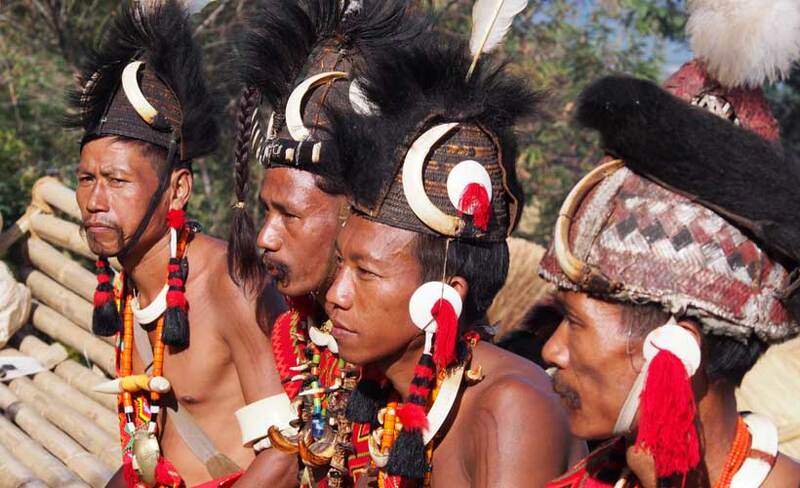 Travel to Nagaland so you can experience the Hornbill Festival in 2019 in real life with Blue Dot! Click here.